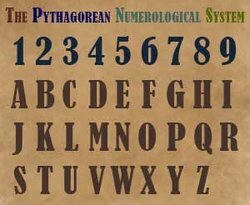 Western or Pythagorean Numerology system is one of the most popular systems nowadays. 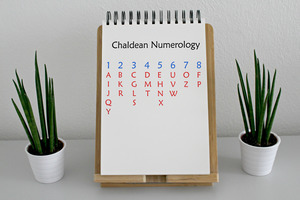 Lots of numerologists say that Chaldean system is the most precise, but still lots of people prefer to work with Pythagorean, as it is easy and understandable. It is simple in practice and studying. The father of this type of Numerology is Pythagoras – the wise man of the Ancient Greece. 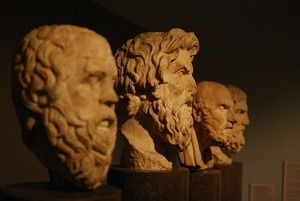 He lived in the 6th century BC and famous as the philosopher and mathematician. This approach to Numerology shows the type of your personality, your motives, aspirations, impulses that accompany you during your lifetime. It is possible to find out your inborn talents, characteristics, concepts using this method. This is the reason why we need to include the full name with middle name into the calculations, as the Pythagorean system does. This system uses modern Latin alphabet. 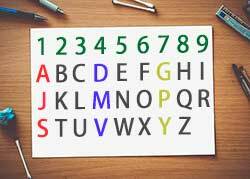 Every letter of the alphabet has a correspondent numerical value from 1 to 9. However, the letters K – number 11 and V – number 22 are not reduced, as they are master numbers. This system contains 5 very important numbers. Two may be calculated using your birth date and three – through your name. Life Path number: shows the road of your life and the possibilities and challenges waiting for you. Name number:tells you about the power of your name. The Soul number: revels your real feelings, concerns and the part of you which is available to you only. Personality number: provides information about your image and reputation in the eyes of others. Birthday Number: depicts what you let others know about yourself. 5 numbers give us a profound picture of who you are. But there is also a sixth number called Attitude number which gives us a hint on how to improve the way we live and be a happier person. Attitude number : additional, but influential number that shows your disposition in life. If your Attitude Number is not in harmony with your Life Path Number, then you will confuse the people in your life. The highest importance among numbers takes Life Path number. It is a basic step to understand a person and get more needed information. Very often people are interested whether they are compatible with some people or not. These people mean not only romantic relationships, but also work, family, community, and others. Pythagorean system is accurate enough to provide this information and evaluate the level of harmony in person’s relationships. The numbers in this system have positive and negative meaning at the same time. If for example your Life Path number matches the number of other person, it doesn’t mean that you will be in harmonious relationships, because either you or another person can manifest negative side of the number. Even in cases when Life Path number is harmonious in both people there still can be some problems. Every number has two sides – positive and negative. If you expect the person to behave in a special way, you may bring out their negative energy out of the number. So this is a hint for you to expect only the best from people, it will reduce the chance of negative number manifestations. It can even become an important twist in your life. You deserve more than low expectations, so don’t hesitate to break these templates in your mind. Because when you know that you are compatible with someone, it is a time to give it a shot and expect only the best for yourself and your partner. The Hebrew culture is the source of the Kabbalah system. This system includes only a name of an individual, not the date as other systems. That′s why it is not as popular as other numerological systems. It involves 22 vibrations ranging from 1 to 400. 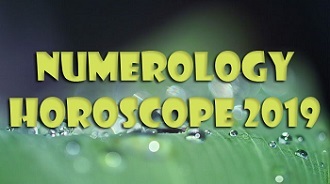 It can be one of the oldest functioning numerological systems that exist up to nowadays. It roots in Ancient Babylon. It differs from the Pythagorean system where the calculation is indicated by the alphabetical order. In Chaldean system each sign has certain vibration. A lot of years ago Numerological knowledge varied according to the region, culture and time of the history. However, a lot of mathematicians used to appeal to numerological practices. They studied Numerology though for a long time it wasn′t considered a science, but gave the needed answers on the questions in some incomprehensible way.